Great product and even better company! An additional packet of collar studs is recommended if you are ordering a shirt that requires even one. They are easily lost. I'm completely satisfied with the Gun Belt and holster. It is well made and fits my 45 colt perfectly. I bought them for my boyfriend and he loved the look of them. However because they only come in one size no matter how short he made them they didn't fit him right. I really love the black paisley vest I recently purchased from your on-line store. It arrived quickly, and was all that I had hoped for. Thank you very much. I like the hat very much and have had nothing but positive comments from everyone. Very well made and comfortable trousers. The hat is wonderful. Great quality. I am definitely satisfied with this hat I can change blocking any time I wish which is great and it like the flat crown planter hat goes well with my Jarvis frock coat three piece suit. I will be returning for future purchases. Thank you so much, it is a pleasure to do business with you. Silver monocle. It was beautiful, and speedy delivery, despite the late order right before Christmas. I will be ordering with them again. I'm very happy with my item, and it was big hit at the party! The hat was too round . . . Unlike a persons head. It was too stiff to have any give to be comfortably worn. We are sending it back for an exchange. Prompt delivery and good quality. Required significant altering of the length of the coat and the sleeves. Sizing guide was accurate, but is large through the shoulders. This holster can handle my steampunk & Laser Pistols. PURCHASED THESE AS A GAG gift FOR A FEMALE FRIEND THAT IS CONSTANTLY FREEZING. I KNEW SHE WAS GOING TO OHIO FOR CHRISTMAS TO BE WITH FAMILY, AND IT WAS ALREADY SNOWING THERE. SHE COMPLETELY LOVES THEM. WEARS THEM ALL THE TIME. Cute little watch. Great for what I needed. No instructions were included on how to change the battery. The spats are beautiful and look great with the right shoes. They arrived before expected wich was a welcome surprise. I am very pleased and will definitely continue to purchase from the emporium. Excellent hat. Looks stunning. High quality. Prompt delivery. My son is eighteen and he has wanted a top hat for three years. The first hat was too big but Historical Emporium exchanged it swiftly and effortlessly. Our son is over the moon! He wears his hat everywhere! And the quality is top notch. Great value and great store! Highly recommend. This is a very nice skirt - well made, looks good and is a beautiful, rich brown color. I also own this style in the tan/khaki color. I like the option of the extra buttons in the back which allow for adjustment depending on whether you're wearing a blouse tucked in or an over blouse. The darker lines in between the cords on the vest emphasize the vertical look and make this vest unique. Lots of compliments will be coming your way wearing the Caldwell Corduroy vest. Bought as a Cmas gift for my son in law, he and my daughter were very pleased with the look and how they complimented the rest of the outfit. A very nice and comfortable vest. Needed to go up one size to find the proper fit, but that was a minor issue. The sewing and stitching looks very nice, and it seems to be very durable. Wish we would have had vests this nice when I worked at Farrell's Ice Cream in the 1970s! Bought for a friend who does very good card tricks, he was very pleased with the look and feel of this deck. I purchased the Brass Diver's Helmet Walking Stick as a Christmas gift for my husband, and it was delivered in plenty of time. He is very happy with it! We live on the East Coast and so we try to be realistic about anticipating how long it should take to receive a mail order from California. We have ordered hats and other accessories from your catalogue and we've been pleasantly surprised at how quickly we've gotten them. We've also been very happy with the quality of your products. We go to several Victorian and steampunk-themed events every year and many of our friends also buy their costume pieces from your catalog. Keep up the good work! A really fantastic vest. In fact, I love to wear it with a t-shirt and jeans. It's very well made and fit's fantastically. Another amazing product from H.E. I have now ordered three different shirts from you, and every one has been of great quality, fit, and very timely in delivery. My husband and I are very happy with your items! Thank You! Looks great, fits perfect - absolutely everythign I had hoped for and more! Thank you so much! I couldn't be more happy. My holster was delivered before i expected it and was just what i wanted. Thank you . I collect firearms so the holster was a fine addition. The product looks much better in the picture that in reality even though they are the same thing, maybe is the size. Very efficient service, prompt shipping, and I will use this site again. I purchased this watch as a Christmas gift for my son to give to his grandfather. It looks even better than I had expected. I also received the watch much faster than I had anticipated, which meant that I had time to get it engraved. I will definitely save this store to my favorites, and shop here again. These pants look great. They fit very high and tight as was promised and desired. I had the hem moved up quite a bit, but that was expected also. Very fast delivery. The material may not be authentic, but it does not show. They certainly do not look cheap or steam punky. I wear them at turn of the century events with great success. The blouse fits a trifle loosely -- but that it all for the good. It looks great with the vest I ordered as well and I feel quite at home in it. It is very well made and attractive. fully satisfied. excellent product. i had to exchange twice due to size and other issue, but the wait was worth it. the return department was managed excellently and this made my wait worth while. will do business again. This belt is great. It looks sturdy. It's also attractive and will look well with the rest of my outfit and will also hold many useful things. Well designed, well made. I really like it. The Historical Emporium scored three for three with my order. I'll be back. 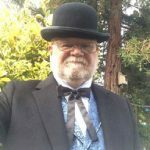 Worked great for the Dickens fair costume! Not too expensive, well made. Choker fits securely but does not chaiff. Goes with all my outfits! These gloves are by far the BEST gloves I have ever slipped my hands into. Made perfectly in the great USofA! The softness of these gloves cannot be described in words, you have to order them for yourself to actually feel what people are talking about. The fit is so comfortable you won't want to take them off. I wear them everywhere I go and they look cool as cool can be.. I will probably order another pair just to have down the road, these gloves are that good. Forget the cosplay appeal, the pull of a classic bygone era... I'm 45 and suffer from severe degenerative disk disease. I've had five major back surgeries in nine years and suffer nerve damage in both legs, inhibiting my mobility. These boots (of which I now own two pairs in different colors) are the best footwear I've found to lessen my daily discomfort. Strong heel, solid base, great arch and instep -- I wear them almost daily for work and casual outings. A fantastic product -- recommended for anyone looking for the perfect stylish-yet-everyday footwear. The holster is very well made and customer service could not have been better. It was a gift and my friend could not be happier. Thanks. I love this shirt. The fit is perfect, comfortable & you can't beat the price. I find myself purchasing more & more from Historical Emporium because their products are of the highest quality at a reasonable price. Great job to everyone at Historical Emporium and Thank you for the great customer service. Respectfully, A very satisfied customer.. Pants are lovely. The material moves beautifully and the fit is excellent. These pants exceeded my expectations. They fit perfectly and the quality was as good as the finest department store merchandise. I paired them with an ivory Jennie Blouse. The combination had my husband telling me I looked fetching. Thanx guys! :) just what I needed just in time. Just as deep purple as pictured on site. I get compliments every time I wear it at home entertaining that I'm almost tempted to wear it out. It does fit snug if one goes by chest size. I'm 6'2'' and the sleeves are JUST the right length at the size I ordered- M- for 2 fingers'width of sleeve to show. But there is ample hem for longer arms. I see the ordinary sizes are sold out on site. Rightly so. I'd send them an email to bring it back in stock. Now I just need a matching embroidered velvet cap with a tassel! Wire brim for forming, and heavy duty wool construction. Looks like it work take a lot of rough handling. I ordered it too large, but gave it away to a friend. Can't say anything negative. It was well worth the money! The belt was just like the picture and fit just right. I would recommend this to anyone! This rig was just the thing for show at out Bar-B-Q Cookoffs You can pay more but you can not get better value. If you are looking for the old west look, look no farther than Historical Emporium!!! Absolutely perfect for steampunk and any other special occasion. Very well made with great stitching!! I love this shirt. I plan on buying a couple of more. My only complaint is they match sleeve length to size. In other words if you have long arms you have to buy a large. If you are tall and thin like me it doesn't fit as well. But it still looks good. After reading other reviews, I ordered a size up, but found that they were much too large, so had to re-order. They now fit like a glove. These are fab pants and create a gorgeous silhouette. You could dress them up or down and are a heavy cotton ( like jeans ), so, sturdy and look to have a good life span. They're very stylish and based on the purchases I've made ( I also bought a pair of suspenders ), the quality of these products have won my loyalty. I will be shopping here again, for a long time. My niece had this vest on her wish list for a couple of years. When I bought it for her this Christmas, she was ecstatic and wore it for the rest of the day. She loved it so much, she practically hugged herself. I also own the "Brigade vest," which is very similar. I purchased the Fitzwilliam to have an alternative in another color (grey as opposed to black). If I did not already own the Brigade vest, I might be very happy with the Fitzwilliam. But the Brigade vest is a higher quality garment, in a heavier twill. The Fitzwilliam is constructed of a soft, low-quality wool that feels vaguely fake. It's by no means bad, but not what I was looking for. My greatest disappointment, however, was the color. The vest is darker than the product photography depicts. In fact, it is nearly black, which means there was no reason for me to own it as well as the Brigade vest. In addition, it's difficult to tell from the photography, but the buttons on the Fitzwilliam are definitely gold - another point that may have prevented me from purchasing it. The Fitzwilliam is a good, comfortable vest, and looks good when worn. But it is not what I was looking for. I love these gauntlets, but beware - the leather is thin. This may actually be a good thing, depending upon your needs. They are not so heavy as to preclude Fall or Spring use. But they would not hold up to serious use (say, motorcycling) in a cold climate. I am fine with that, and they are comfortable for everyday costume wear. This tie is great! This was given as a gift. He was very pleased to have received it. He's already worn it to a formal party. Thanks for once again meeting high expectations on quality! This Moire Gibson Girl Skirt is beautiful! It is very well made and the fabric is lovely. The sizing chart was extremely helpful in choosing the correct size and eliminating the need to return and try another size. The skirt is very reasonably priced for an item of such quality. Thank you Historical Emporium! Great vest. Fits me well. I'm a large man and usually have trouble with fitting, but this vest's sizing is perfect. This is the second vest of this type I've purchased from Historical Emporium. I can't say enough about their customer service. My English-born son is reconnecting with his roots from head to toe at the moment and wanted a classy bowler hat (that's a derby to the American population). He wanted something that he could wear casually, formally and for a little steampunk dress-up- I wanted something that could become a family heirloom. This product fulfilled both of our desires and everyone- including complete strangers- who see it admire and covet it! My son's head-size was exactly at the crossover measurement between two sizes so we ordered a second size for comparison and ended up keeping that one and returning the first. The service was fast enough to do both "fittings" before Christmas (with my son's eyes closed to avoid premature joy) and the return process was painless. The hats were safely packaged and arrived in absolutely pristine condition. Would have loved a hat box too, though. I mean- a Historical Emporium hat box: how cool would that be??! Thanks H.E! We'll be back for a top hat soon! First of all I found this poor value and quality. Secondly, I thought that I was buying a blouse with a jabot --if you look at the picture, that is what one sees! I did think it inexpensive for a blouse - but I think that 30 whatever dollars is ridiculously expensive for a piece of unfinished lace with a small cheap brooch attached. I will certainly not use your services again. Unsatisfied customer. I am really happy the quality is superb and this completes my western out fit. My boyfriend wanted a simple manly scarf for Christmas. This was perfect. Soft and high quality. The shipping was so fast. I was suprised how comfortalbe these pants are. They are my new favorite pants. I feel good wearing them and get allot of positive complaments. They are a great value for the price too. The holster is exactly as represented on your website, and the ordering was hassle-free and your tracking notifications put me at ease. I had some trepidation about the quality, but any fears were put rest when I opened the package! What you see is what you get! Even with the logistical difficulties of shipping to Hawaii in general, and my island in particular, delivery was promptly on time. Mahalo!! thin leather, can where out quickly. not meant for serious use. good for costume parties but not for the serious wrangler like myself. live and learn. oh well. Being a lover of horses and a pass history of owning the same. western history and dress as been a favor of mine. Lonesome dove is a movie that I have seen several times and it was there I first saw and fell in love with the Gus hat. The one that I have purchased from your company is exactly what I was hoping for. And I have been shopping and luckily I found Historical Emporium. I want to once again thank you for prompt delivery of this fine product. I have been getting many complement. Of course I have referred people to you. Thanks again. I will be shopping here again real soon. A very fancy satin skirt. It's always nice to have a variety of textures in your closet. as with any smooth, soft fabric be gentle and wear with care, so as to not snag or tear it. I love the skirt. ups did accomenable service for once, pleasently surprised. I like the overall look and fit, but I find the buttons to be too flimsy. I only wore it 3 times and one of the buttons already popped and broke off. I wish they were more secure and sturdy, made out of a stronger material than plastic. I wasn't quite sure of the color as I was looking for Royal Blue but it turned out very well and the fit precise... as it turned cold on my return to the Dicken's Fair it was quite a welcome bit of comfort in the chill and bluster of the winter. And many a Lady and Gent tipped their hats to me and commented on my well appointed attire. Cheers! The blouse is beautiful, but unfortunately the size I bought, based on the website measurements, is off by 3-4 inches (too small) in the bust and waist. The blouse is well made and very pretty, but I can't wear it. I put a tape measure to the garment, and with the lacing at its most open the bust measurement is 3 inches smaller than the measurement given in your size chart, and the waist is 4 inches smaller. Perhaps other blouses you sell are true to the dimensions you give in your chart, but this one is not. Potential buyers should consider ordering a size or two bigger than usual. I would have given the vest I purchased five stars had it been available in the color I really wanted (green) to replace the one I purchased several years ago and have since outgrown. It was exactly what I was looking for. I'm a photographer and sometimes I photograph different events. costumes have become apart of my blending in. Thanks for your being there. Wonderful and realistic. I used this for a very special Orient Express themed party and could not be more impressed with the quality, realism, and performance. I used eyelash adhesive and it remained intact after hours of laughing, eating, drinking, and dancing. I would tell you more, except those stories must remain on location! Incredibly quick transaction, even during the holidays-great job and great top hat! There was an initial mess up regarding shipment but that was related to a contact email being sent to me that went to spam. Other than that, we are very pleased with the product. The person i purchased this for is very particular about the quality of garments, as am I. We were both very happy that the stitching and seem work was so high quality, and the price was very affordable for such quality. I have been looking for another period garment, but you do not carry such a thing. we have saved your website for potential future purchases as we were very happy, and have told others about your store. To let you know this was worn to the Florida Governor's Christmas Party and even pictures taken with the Governor and his wife. They loved the coat, and many people asked where she got it. I never do reviews but we were very pleased and you deserve it. I ordered a holster and gun belt on-line for my grandson for Christmas. The delivery was timely and the quality was excellent. I couldn't be more pleased. Unfortunately I was given the wrong size by my daughter and must return it for exchange. Excellent quality and very stylish. I ordered a medium and it seems larger than the stated 7-7 1/8 size. But that hasn't prevented me from wearing it often. Frame was too narrow, when adjusted the structural integrity of the bridge was compromised. These were a quality product, not just form but functional. Quality leather and fasteners. These leather gauntlets are the best. They are soft, they fit perfectly and I plan to use them for several different situations. They are just great! I got this shirt for my husband, and was very pleased with it. The fabric is nice, but the cut of the torso is awkward. The vest fit according to measurements but gapped under the arm, making me look very square. The waist fit according to measurements, but the thighs were much too tight. The crotch could have also used a few more inches length. The quality of your product is wonderfull. My grandson who is in college loved them. When I am looking for gifts for him I will check out what you have. Very good quality and really looks sharp! We were very pleased with the quality and price of our frock coat. I'd highly recommend this coat and this site to anyone! I purchased a detachable collar (Banker) according to my neck size. When it arrived it was wildly mis-sized. I could wrap it around my neck 1 1/4 times. I had to return it and pay return postage. I was disppointed with the collar because I was hoping for the very great satisfaction I had received from the Historical Emporium when I ordered my derby, which was excellent! Wow - your silk ascot is a happy surprise. The fabric is a beefy and beautifully detailed jacquard. The construction is authentic and perfect. ... a modern Thurston Howell, III would always wear an ascot with a collared woven shirt. Well made and pretty nice quality. A good value for the price. Thank you for giving me the chance to express my happiness over this order. I bought it for my boyfriend for Christmas and I was SO happy that he received ahead of the scheduled delivery time and BEFORE Christmas. When we opened out gifts for one another he was truly happy when he got it and surprised by the handkerchief - what a bonus! The quality he said was very high and he's been sporting it ever since. Thank you for helping me make his Christmas a happy one. I purchased this watch as a Christmas gift for my son, he loved it! It's a great piece for the price, very cool to watch the gears move and work, seems to keep time well as long as you wind it up. Beyond the watch I was super impressed with the service I received. My order was placed, processed and received super fast. I encountered a problem with the first watch and when I contacted customer service they first attempted to address any problems and possibly avoid waiting for a replacement and when the problem was not fixed they sent out a new one the same day. I have shared the word already because family members were asking where I got it. Great place to do business with, amazing product, great prices! well made and useful product----think you may sell more pouches if you offered more without belts--showing offering either way or seperate belt offering. Arrived on time. Perfect fit. Good finish. My husband looks really good in this. Should receive a 5 but downgraded to 4 as rather pricey. Will definately buy more stuff from this site. They are well made of good fabric but beware that they run small and now have to be returned. I would advise ordering a 2" larger than your normal size. Also, the pants will need to be hemmed but that is a good thing for tall people. The product was good quality and the right price. I was amazed at how quickly it arrived, second day after order with no special shipping. I bought this as a holiday gift for a friend of mine and it is so handsome I decided I will soon buy one for myself. The detail in the brocade pattern is absolutely beautiful and metal buttons go with his watch chain. Thanks Historical Emporium! I ordered these pants for my husband and he is already asking for another pair. He says they are very comfortable and help support his back. I ordered one size up from his normal size and the length was perfect. The bonus is that they are made in the USA! Hi, This is the perfect tie for your St. Patrick's Day steam punk or Victorian outfit. Also, I noticed that the brocade pattern matches the pattern on the Farnsworth vest that I purchased. A perfect go-together. High quality of craftsmanship /Beautifully made! Fits .45 cal and ammo perfectly! Belt fits slung on hips per given measurements perfectly! Was his favorite Christmas gift! Thanks! The coat was affordable, and I belive it will be perfect for my movie. It just seems to give an air of wealth with little expense. This holster was a Christmas gift from my wife, I had looked and searched numerous sites, stores and manufacturers for a holster like the one purchased that would fit my handguns. After receiving this holster ...on time... as promised , I am completely satisfied with this product. The coloration, fit, and quality is supurb. I am the type individual who tells things like they are and am honest and up front with people. If I was dissatisfied in any way I would not hesitate to say so..... I would not hesitate to recommend this product and manufacturer to anyone looking for a quality holster. I grade my satisfaction this way, I simply ask myself would I purchase this product again from this company and manufacturer?......absolutely!! These goggles are very nice. The only problem I found is that the strap is a bit short. But it is easy to replace with a longer strap. I would Highly recommend these goggles to anyone. These lenses are great. I would definitely recommend these. I wanted a nice vest that would look dressy and not make me sweat all evening, and this is it. It fit generously, and I've had a few friends ask me where I got it. Delivery time was insanely fast as well. I'm going to be a regular customer. Took a gamble by getting online but not too bad. Only wish they had the red available when I purchased this grey one. Now will have an extra I really don't need. Took a gamble here too. Was lucky the size was good. Very comfortable, not heavy. Nice Plaid trousers. I was lookin' around fer some nice like these. They fit well and as mentioned in another review; they aren't a very thick wool so you can wear them on days that ain't just real cold. As with basically all the trousers - you gotta have the suspenders to really fit the bill. Good stuff and 95% sure to get more in the future. The quality of the shoes is wonderful but the lack of tread on the bottom makes some walking dangerous. Fit is wonderful but a bit small. Shoes feel pretty well made but the inside of the boots is a little scratchy so thicker longer socks are recommended. I'd buy them again. This skirt was reasonably priced and it's since become a very versatile part of my costuming wardrobe. It's really held up well and it lends itself to various design alterations. Worn with the hoop skirt under and a great belt at the waist, it is fabulous. It arrived in great time and I received courteous service. I am impressed with the selection the Historical Emporium offers. I have purchased a top hat from here, very good quality, and I'll be back for a Classic Bowler next, I think. Great vest and quality is exceptional. Fit is true to the size. Very comfortable and looks great with denim. Great coat! I received this coat within a few days of ordering. Everyone was amazed at the quality. I used it as my wedding coat at Seattle City Hall on December 9th...and the mayor really liked 'my outfit'. Lots of compliments after the ceremony too! I ordered this poker deck as a gift for my friend. Being a group of gentleman who enjoy a good poker game, we thoroughly enjoyed using this deck. We had quite a great time getting used to looking at the cards without the indices. Both sides of each card are gorgeous, and I would recommend this for any old soul who enjoys a good card game. My only complaint is that the stand at the bottom of the display box fell off as soon as my friend took off the plastic wrapping around the box. It was very poorly attached. But the cards themselves are fantastic. Fabulous period coats. Good construction and fit. They look slick, but they are about as robust as dry noodles in a 3-year old's hand. Do not purshcase for heavy useage. They are a look, but don't touch item. For the same amount of money, I bought a real pair safety goggles that are robust, but not as slick. Christmas purchase for my son going to a steampunk Convention. He had to have the pocketwatch. An emphatic "Niiiice!" was an outstanding compliment. Not sure of the quality, but it looks great. Not great, but it works. Reasonably well-made, but pretty Plain-Jane looking. Was hoping it would look like a Gorgeous-Jane. A great buy. Well-made and looks great. Worth the money. The product is wonderful, my wife loves it. The shipping was amazingly fast. Thank you! I purchased this watch for my teenage son. He has been wanting a pocket watch ever since his older brother bought one. I was pleased with the overall look and design of the watch. It seems well made and is keeping time splendidly. The watch has not left my son's pockets since Christmas Day. He is thrilled with it! I rated the watch at 4 stars simply because we have had it such a short time. If the watch continues to perform well and the finish holds up, I would definitely up the rating. This was also my first time ordering from "the emporium" and I was very pleased with the service and quality of all the items I ordered. Nice weight fabric. The color was what I was hoping it would be: a true dried golden tobacco leaf color. Great service too! This vest was exactly what I was looking for: gray in color, wool tweed in fabric, and stylish in design. First, the neutral color allows for a variety of outfits. Second, the vest is lightweight, so it can easily be worn underneath a suit coat, or by itself when the weather is not so cold. Third, although fashionable, the vest is also appropriate for everyday use in business attire. In addition, the delivery was quick, even though it was ordered during the busiest time of the year. This is yet another purchase from the Historical Emporium that has pleased me well. This purchase was made to replace my brown derby, which I have worn for over eight years. I ordered this hat gray in color to supplement both my winter and spring/autumn coats. Based on the sizing options, I knew that the hat would be slightly larger than needed. This was a quick "fix", however, with some double-sided tape inside the inner flap (and thus out of view) to provide the correct dimension. As stated by others, the hat is stiffer than other derbys, which I believe will make it more durable. I am pleased very much with this topper! This tie is of great quality and beautifully made. Purchased it as a Christmas gift for my son and he loved it. It went very well with the Black Baker City vest I also purchased. The picture of this product does not bring out the deep rich color of the material. High recommend this item. I expected this vest to be made from a little heavier material. Also, it is shorter than I had expected. I purchased this for a 6'0" man, medium build and the vest stop just below his naval. I would have loved for it to come to the top of his pants, as shown in the picture. The design on the vest is absolutely beautiful. With the exception of the length and weight of the fabric, overall, I really liked this vest. New Christmas family tradition has started as a result of the red river trail vests. I bought three red vests for my husband and two older sons as we ventured East for the holidays. Instead of sporting the traditional red sweater vests that many of my brothers donned, our family made a western style statement wearing the vests with white collered shirts and black pant. My husband and sons looked fabulous and my husband, who initially said, "I'm wearing this for you" told me at the end of the night that he really liked it and looked forward to wearing it again. He said the vest "grew on him" as the evening went on style compliments kept coming his way. I only wish that there was a youth size for my 11 year old son. The vest arrived in a very timely manner ready to wear. We had them sent to NY and unwrapped them minutes before we left for Christmas mass. They still look pressed after suitcase travel back to Colorado. The Faux Fur capelet is warm, feminine and stylish for 19th Century apparel. I can't get over how this blouse fits. I just love it from the cuff length, and the buttons, to the neck fit! I was surprised to see the beautiful tone on tone paisley print. Such quality. I will definately be purchasing more. This skirt is true to size and fits beautifully. It is well made and easy to wear. As an added bonus, it arrived quickly and all that was necessary was a quick once-over with an iron to get those wrinkles out. I would definitely order form this vendor again. Great experience. This is a sweet fan and the perfect accessory for my outfit. Well made and actually provides some much needed air on the hot days here in the desert. This hat is very cute and works well as a costume piece. It added just the right finishing touch. Well made and fun to wear. I was a bit skeptical about this blouse... wasn't sure it would add the look I wanted. However, I was surprised (in a good way). the lacing allows you to adjust it, so if there is a significant difference between your bust and your waist, this lovely little blouse can accommodate that. It looked lovely with the skirt and was the perfect accent under my corseted, leather jacket. Well made, it holds up well to hours of wear. I will definitely order more clothes from this shop. I ordered this as a Christmas gift for my husband, and it arrived in plenty of time. The coat is very nice - good quality, nice weight fabric, and it looks lovely over his suit! It makes a nice alternate for the heavier coat I made him several years ago. I have purchased several vests for my husband, usually dress vests. I wanted to find something different in a vest and ran across this website... I was amazed at all the different vests. I ordered this green vest and 3 others. Exceedingly surprised does not begin to express how I felt when I opened the shipping box. All 4 vests are extremely beautiful and well made. We will be ordering again. Absolutely astounding. My husbands favorite. Extremely well made. Will be purchasing again. Another amazing well made vest. Love it be ordering again. This vest has the most beautiful colors. The quality is amazing. Love the lapels. Will definitely be ordering in the future. Coat came quickly and is above my expectations. It is exactly what I thought it would be. A great product and period correct. Thanks for the quick ship and a great product. The people were very knowledgeable about the products and very polite and courteous. I would not hesitate to recommend your company to anyone. Great product, Great service. Overall a good experience, if only other websites would provide this kind of service. Excellent selection of the kind of products that I was looking for, as well as high-quality items. Thank you for providing these kinds of items! The most affordable and only store suited to my needs that I have found so far. The service was amazingly fast. Unfortunately, my first purchase is not true to size based on your chart, and it has made me reluctant to order anything else. I am interested in several more garments, but at the moment I am not inclined to take the chance. The Evangeline blouse is lovely and just as pictured, but its actual dimensions (with laces loose and blouse laid flat) are 3-4 inches smaller than the numbers given in your size chart.. A blouse I bought from Van Heusen the same week, same size and measurements given, fits perfectly. Returning a $49.95 blouse for which I paid $7.95 shipping and presumably would have to pay again to return, is more trouble than it is worth. I have a beautiful blouse in my closet I can't wear, so I would say my first experience with The Emporium was not good. GREAT PRODUCTS ~ GREAT QUALITY ~ GREAT FIT ~ GREAT SERVICE! Speedy shipping, good quality product. Customer service on the phone was friendly, ordering online was easy, and shipping was prompt. The quality of Historical Emporium's products is only exceeded by the customer service! Beautiful piece, fast service, great price. Great service and wonderful quality hat. The quality of the clothing is top notch. Even when I ordered an accessory with a slight defect, I had no problem with a return and replacement with another piece of merchandise.